Are you ready to up sticks and move to a new part of the town? Well if you’re moving across the city, going cross country or coming in from abroad, we are on hand to help. We at Moving Service are a removal company in Haringey, N4 that have been helping people with their house moves for many years. We boast a large client base full of satisfied customers, so if you’re looking for an experienced and reliable company to help you with your house move, look no further. With our range of services, you are bound to find what you need, so get on the phone and call us on 020 8746 4402, speak to one of our friendly staff members and kick start the moving process. We can offer you a range of services, such as packing and unpacking, office removals, furniture removals man with van hire removals in Haringey, and transport from abroad and all UK destinations. We will also provide all the equipment that you need, so take a look at our website. Contact Moving Service to get what you need and for some additional hints and tips. 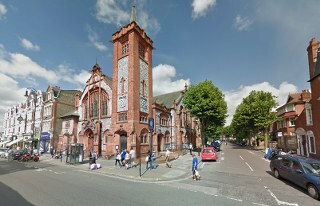 The borough is situated in North London and its postcode districts are N4, N8, and N22. Formerly a rural area of London, it has undergone a number of regeneration projects over the years and is now home to many restaurants, bars and clubs, bringing the area into the 21st century. Try the Crouch End and Muswell Hill for a taste of everything from Italian to Vietnamese food, and then pop on over to the trendy Socialite Bar for some class and sophistication. There are a large number of parks, recreation grounds and open spaces which can offer you plenty of entertainment or provide you with some peace and tranquillity away from the hustle and bustle of the city streets. From Chestnut Park to Chapman’s Green, those parks cater to all ages, staging regular community events and concerts in addition to playgrounds and paddling pools for the kids. The borough is well served by transport and has over 16 stations, including National rail, London Overground and Underground stations, which can get you to Charing Cross in less than 20 minutes. Now that you have chosen to move to Haringey, N4 make that all important step and choose a removal company that you can bank upon to deliver the goods. At Moving Service, we know that moving house can be a stressful experience for everyone involved, so use our range of services to make the process that little bit easier. Our Haringey removal services include transportation to your new house, packaging services and storage amongst many others. Once we have assessed your needs, we will suggest to you our state of the art transport service, that comes with the services of our hard working crew members and a fully equipped moving vehicle, so you can be sure your possessions will get safely and undamaged. Alternatively, we offer man and van services or self hire vehicles if you fancy carrying out the move yourself. 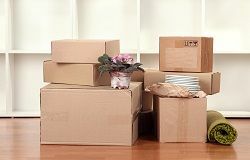 Our packing services in Haringey include both packing and unpacking your items to prepare them for the move and life in your new home, and we can supply any materials that you may need. So call us now on 020 8746 4402 for a chat with one of our customer service representatives and a free quote.